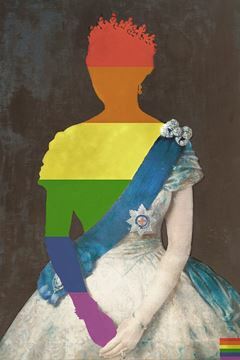 A playful take on Queen Elizabeth's official coronation . 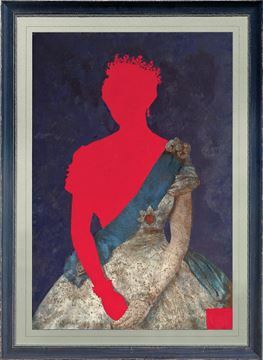 A playful take on Queen Elizabeth's official coronation portrait from 1953. 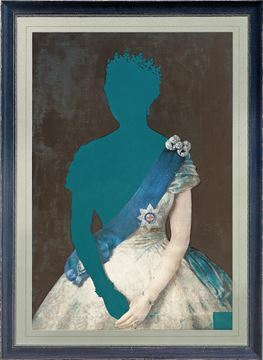 Karl Lohnes found one of the many official portraits from the era and did his own updated colour block version with this vintage piece. 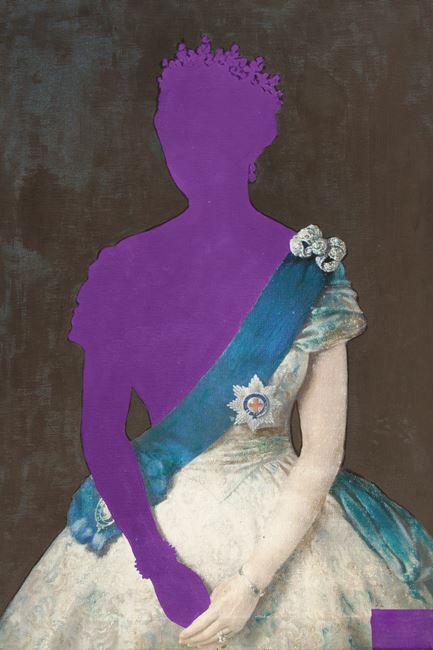 This piece uses a royal purple for a spirited punch. Each is enhanced with a gloss finish only on block colour. Available with teal, red, purple or rainbow accent on canvas. A hand applied gel medium used to create texture and the look of an original piece.